A delicious egg sandwich served open faced with a jazzy caper onion sauce. 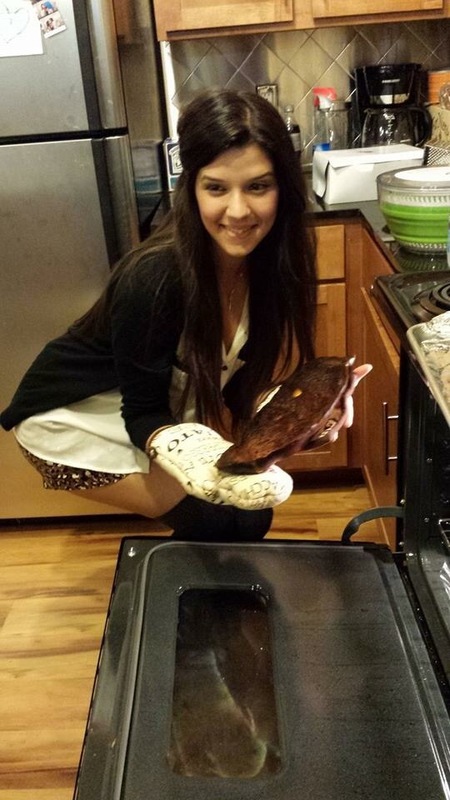 My daughter, Amanda (who has grown to be quite a good cook), asked me to feature some budget-friendly recipes on my blog. Egg sandwiches are about as budget friendly as it comes and they are great any time of day. This egg sandwich is one of my husband’s favorite breakfasts. I perfected the recipe during a family trip to Cyprus a few years ago. I originally only used capers in the sauce but we couldn’t find capers at the resort where were staying so I used green onions instead. It was a great hit and I have made these sandwiches with caper and green onion sauce ever since. 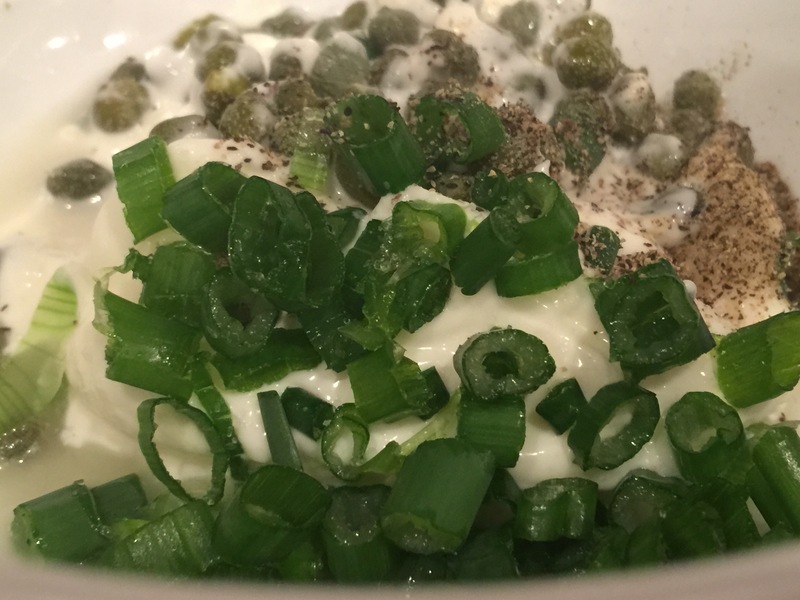 If you don’t like capers, or just don’t want to make a special trip to the store to get some, feel free to omit them and use the green onions only. I serve the sandwich open faced (which means it sits on one piece of toast and you eat it like a slice of pizza). Serving it open faced provides the perfect ratio of egg to bread. The most important thing is to cook the eggs really slowly so they don’t burn or get crispy edges. A non-stick skillet is also essential for cooking perfect eggs. Place the mayonnaise, diced capers, sliced green onions, a dash of salt and pepper into a small bowl. Place about a quarter inch of you favorite oil in the bottom of a non-stick skillet and turn on low heat. Immediately place the eggs into the oil and cook them very slowly until the whites firm up as shown above. TIP: The heat setting for cooking the eggs is the most important aspect to this dish. I always cook my eggs on a low heat (level three on my dial that goes to ten) and I always put my eggs into the oil immediately rather than waiting for the oil to heat. 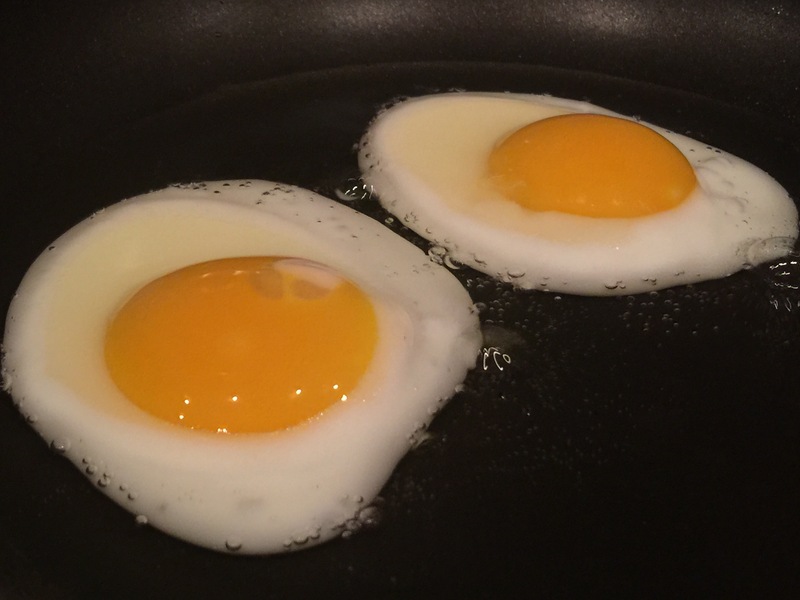 This method consistently results in perfectly cooked eggs with no burned crispy edges. Carefully flip the eggs (if you don’t like a runny yolk you could break the yolks before flipping). Cook about one more minute and then remove the eggs to a plate lined with paper towel. Prepare the toast in a toaster or grill it in butter in a skillet. Place a large dollop of the caper onion sauce on a slice of toast. Carefully place an egg on top and finish with a little salt and pepper. All that is left to do now is pick it up with your hands and eat it like you would eat a slice of pizza.